Do you cast to large, nasty predators? The durable King Rat tames even the meanest fish. When it comes to bucket-list species, dorado (Salminus brasiliensis) have become an increasingly popular target over the past two decades for both conventional-tackle and fly anglers. 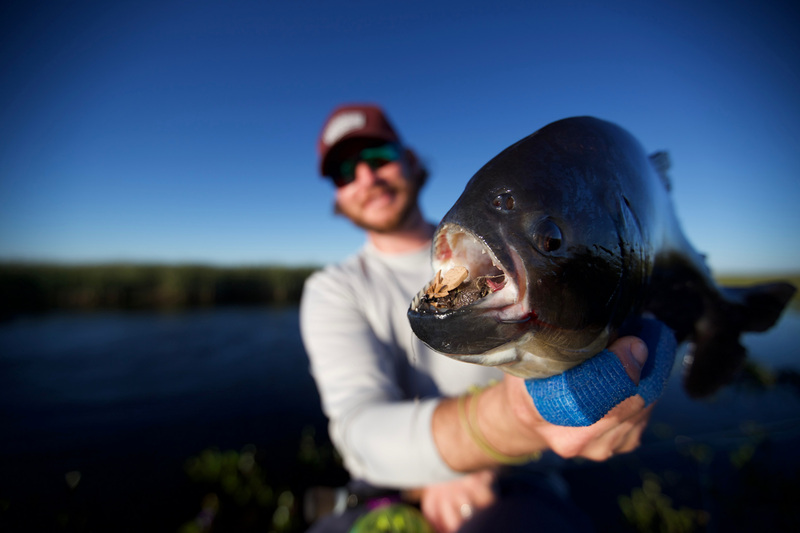 Known for their violent feeding habits, vibrant colors, and impressive aerial acrobatics, this savage freshwater species is truly worth pursuing. Although my latest fishing adventure took place in Argentina’s breathtakingly beautiful Iberá Marsh, this apex predator inhabits estuaries all across central and east-central South America, including southern Brazil, Paraguay, Uruguay, and Bolivia. Dorado are impressive ambush feeders with indiscriminate appetites. They prey upon a wide array of fish, insects, crustaceans, and even vertebrates such as birds, lizards, and rodents, which makes designing flies fun. It’s even better if you create a pattern that you can use at home to catch your favorite local fish such as northern pike and muskie. The King Rat will tame them all! Preparation is one of the best parts of a destination fishing trip. 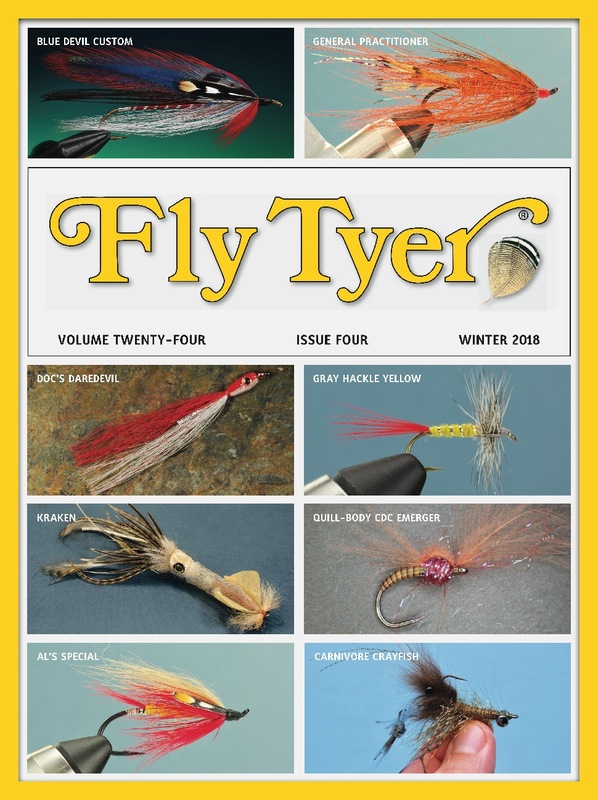 I enjoy researching what flies are productive for where I will fish, and I spend a considerable amount of time scouring the Internet for new patterns and comparing notes with fellow fly tiers and anglers. The excitement builds, and I feverishly make an excessive number of flies, loading my boxes far beyond a reasonable capacity. The vast majority of my new flies will never see the light of day, let alone touch water. My trip to Pira Lodge was no different. I received a hot tip that mice patterns were working in the Iberá Marsh, so I experimented with a few classic spun-deerhair flies I use for catching largemouth bass. I hadn’t broken out the hair stacker in a while, but I was pleased with the first few flies; at least they looked good on the bench. HOOK: Mustad 60403NP-TX, size 2/0. THREAD: Kevlar and pink 3/0 (210 denier). BODY: 6-millimeter-thick closed-cell foam and coyote fur. EARS: 3-millimeter-thick tan closed-cell foam. HEAD: Chicone’s Fettuccini Foam, or strips cut from a sheet of 2-millmeter-thick closed-cell foam, in your choice of color. WEED GUARD: 30-pound-test Hard Mason monofilament. I shaped the rodents’ bodies using consecutively shorter stacks of deer hair, and shaved rabbit Zonker strips for the tails. Large leather ears adorned the sides of the heads and completed a charmingly realistic look. Unfortunately, these flies soaked up water like sponges and became cumbersome to cast. Once waterlogged, my shadowbox mice quickly sank, making them useless around submerged vegetation, and any notion of accurate long-range casting became laughable. 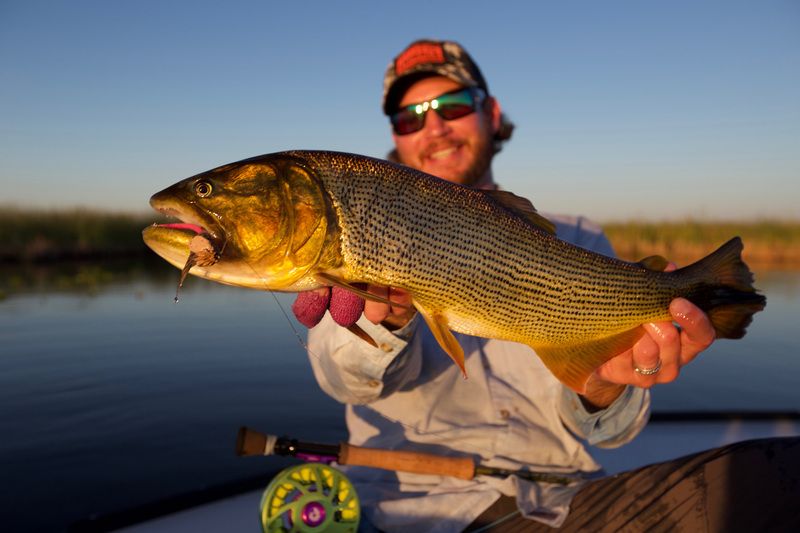 The fishing conditions in the Iberá Marsh are somewhat technical and a little tricky; often requiring long backcasts over tall grass, a fly that handles like a wet rag won’t work. Several species in the estuary have razor-sharp teeth, so the durability of a deer-hair body and rabbit-strip tail make this type of fly useless. Finally, since the vast majority of fishable water is full of vegetation, the new pattern would have to be weedless. My search for a comprehensive mouse pattern that would fill all my needs for this trip was coming up short, but my research wasn’t completely fruitless: I learned quite a bit about rats.